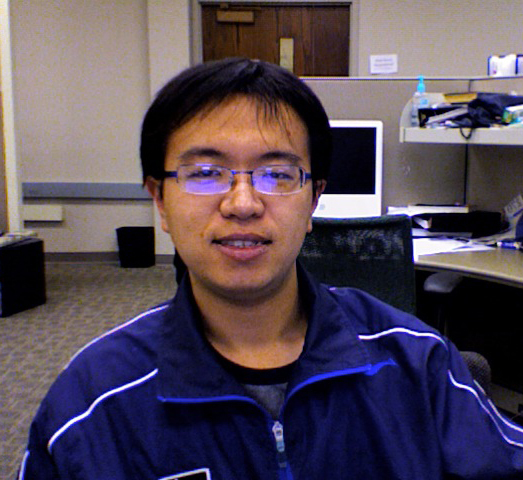 Zhengping Jiang joined Professor Klimeck's research group in August 2008 at Purdue University. He is a PhD student in this group. His research focuses on quantum transport in untra-scaled transistors and electronic properties of Si quantum well with application in Quantum Computing. Zhengping is using NEMO 3-D as a primary vehicle for modeling and simulation and he is now involved in development of NEMO 5. Research focuses: Atomistic nanoelectronic simulation, quantum transport in untra-scaled transistors, high performance computation, peta-scale computing applications development. 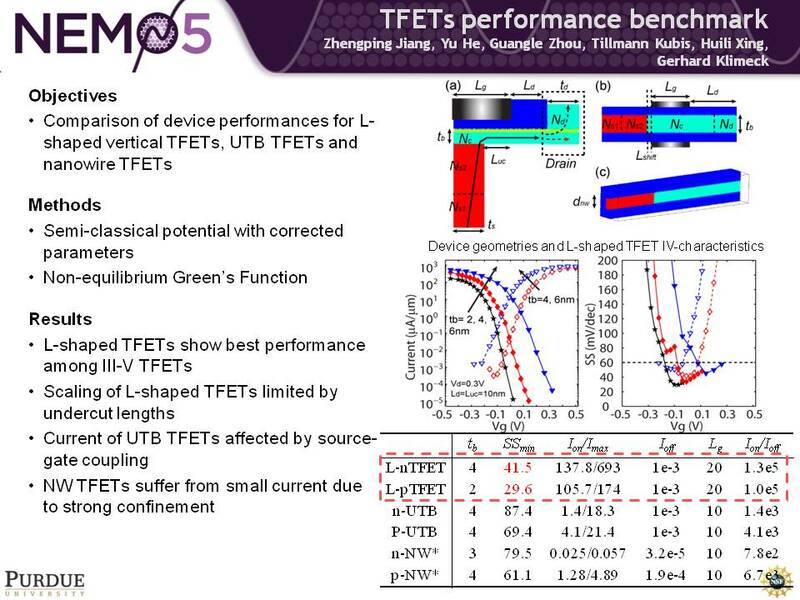 Tight-binding modeling of III-V FinFET. 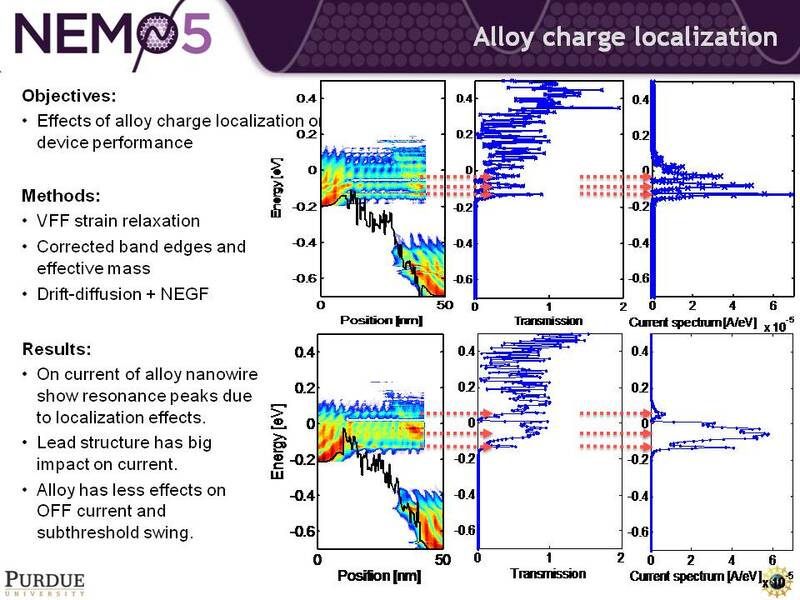 Effects of alloy scatteirng. Tight-binding modeling of metal insulator transition in piezoresistive material SmSe. 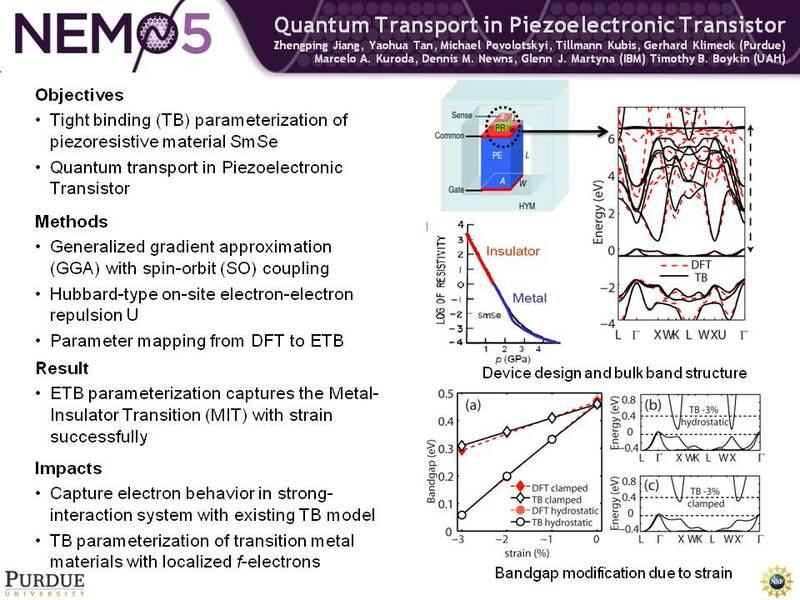 Quantum transport in Piezoelectronic Transistor. Zhengping has a contributor web page on nanoHUB.org. - Modular design, multi-level parallelization, atomistic structure towards multimillion-atom simulation, ~20 co-developers. - Program with C++ primarily and have experiences on MPI and numerical packages. 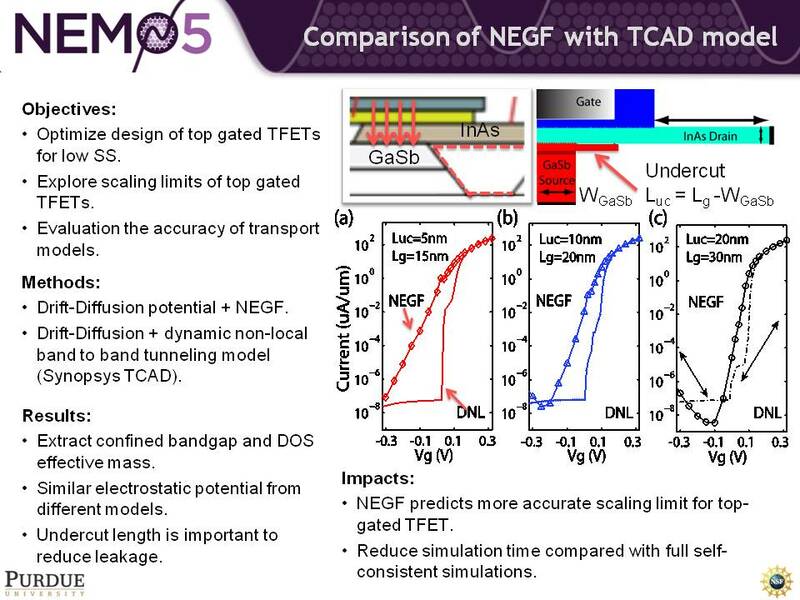 - Use NEMO5 to power online simulation tools in nanoHUB.org and conduct scientific research projects. - Collaborate with experimental groups to provide guidelines for future fabrication. - Ab initio study on pressure-induced Metal Insulator Transition. - Tight-binding parameterization of intermediate valence compound SmSe. - Quantum transport in strong correlated electron systems with f-band electrons. 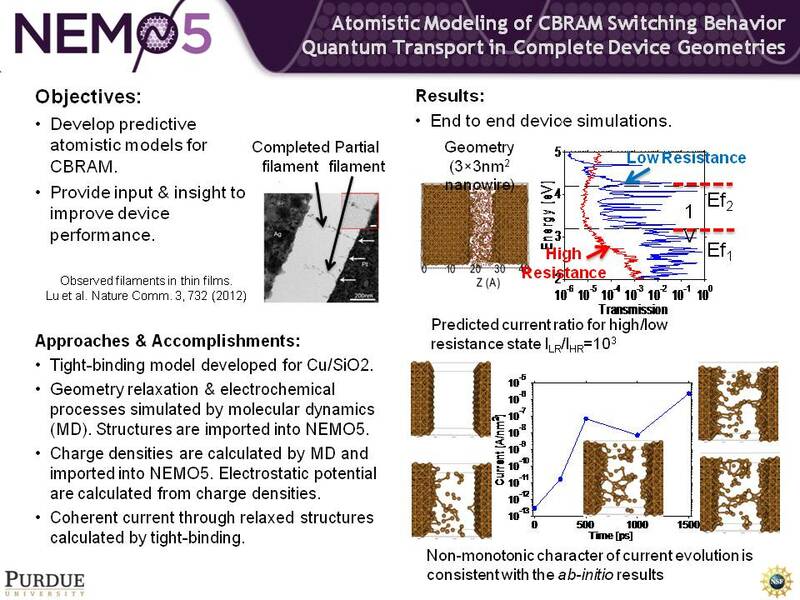 - Modeling of filamentary conduction in Cu/SiO2 based CBRAM. - Tight binding parameterization of copper and silicon dioxide for electronic transport. - Energy minimization with interatomic EAM potential. - Environmental dependent tight binding model. - Coherent grain boundary and random grain boundary. 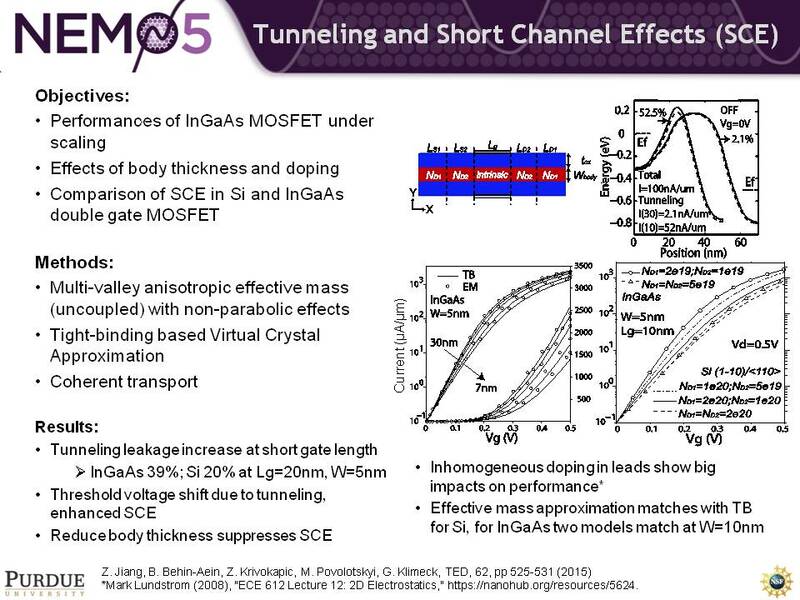 - Effects of alloy scattering in InGaAs MOSFETs. RTD simulation tool with NEGF by C and Matlab mixed programming. Bandstructure effects in III-V material on RTD transport properties by emperical tight-binding simulation.